New Delhi : A court here on Wednesday awarded life imprisonment to former TV producer/host Suhaib Ilyasi for murdering his wife in 2000. Additional Sessions Judge S.K. Malhotra also slapped a fine of Rs two lakh on the convict and directed him to pay Rs 10 lakh to Anju Ilyasi's family. 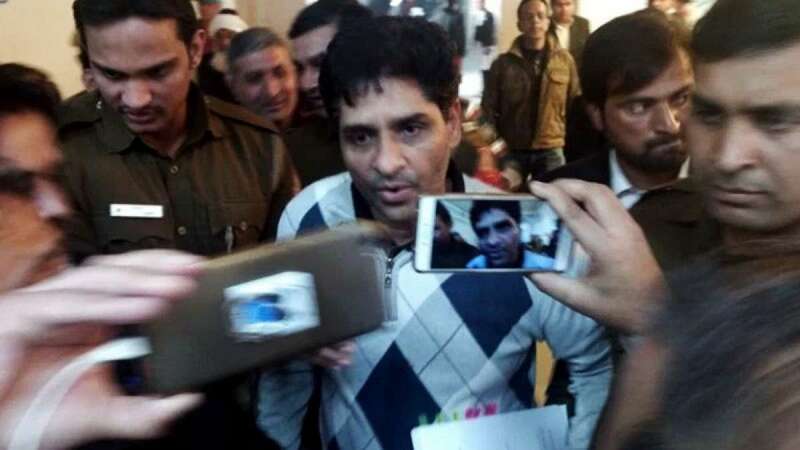 On December 16, the court had convicted Suhaib Ilyasi for his wife's murder. Ilyasi, also the editor-in-chief of Bureaucracy Today magazine, faced trial for 17 years in the dowry death of his wife. In 2014, the Delhi High Court had asked the trial court to add the graver charge of murder under Section 302 of the Indian Penal Code against Ilyasi following a plea by Anju's mother Rukma Singh. Anju died on January 11, 2000, at her Mayur Vihar house. Ilyasi was arrested on March 28, 2000. The trial court had framed charges against him relating to dowry death and subjecting a woman to cruelty (Section 304 (b) and Section 498 (A)). After the High Court order, Ilyasi was charged with murder. Ilyasi shot into the limelight after hosting the reality TV show "India's Most Wanted".